This super fruit helps ward off breast cancer. The credit goes to the fruit's compounds that prevent the growth of hormone-dependent breast cancer. 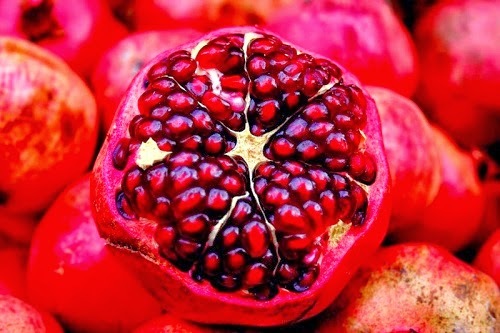 Pomegranate's cancer-stopping power may stem from ellagic acid according to one study. Ellagic acid is an antioxidant that helps block the production of estrogen. Without estrogens, breast cancer cells can't grow. Valuable point. Fruit is rich in antioxidants.